Why haven’t I posted lately? 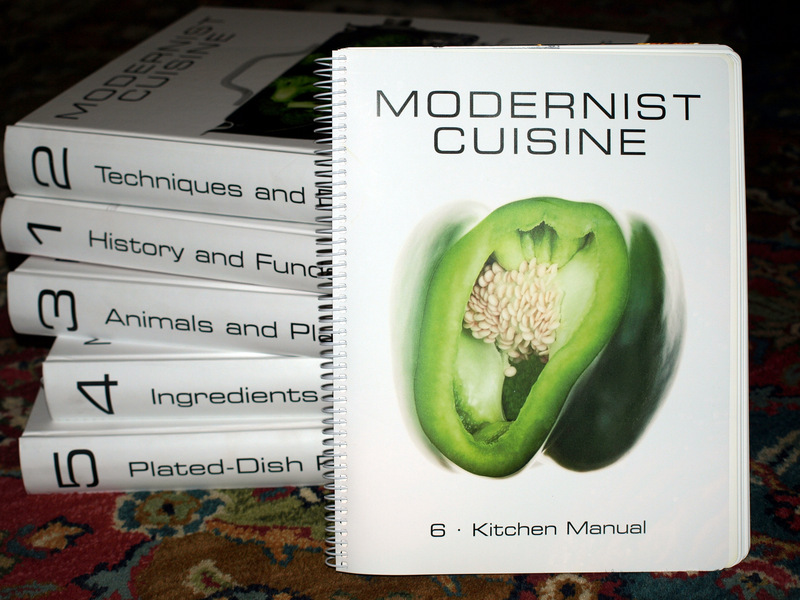 My spare time has been consumed by Modernist Cuisine, the six-volume masterwork from Nathan Myrvhold. Thanks to my wonderful parish’s public library, I can read it (for free!) at my leisure, and it is an amazing, mind-bending work. Cutaway photographs illustrate cooking processes, ranging from traditional (pot-roasting and pressure-canning) to modernist (carbonating fruit and sous-vide proteins). So far, I’ve attempted just one of the book’s innovative techniques: cooking pizza on a steel sheet in the oven, using an assist from the broiler. Two attempts yielded pizza with better-than-stone-cooked texture, but I didn’t hit the bullseye (yet, probably because I was impatient and didn’t allow the steel to heat sufficiently). You are very welcome! I’m a librarian at the St. Charles Parish Library (I work at the one in Destrehan), and I’ve been reading your blog for awhile. Imagine my surprise when I saw these library books pop up! I’m so glad you are enjoying it. It’s an investment I’m glad we made. I might post this on our Facebook page–in a few weeks of course. I don’t want you to have to return them before you’re ready! I was very happy to see it at the library–the staff was quite entertained by my energetic enthusiasm. Glad to know that “big ticket” books are still part of the library landscape. Awesome! I have been wanting to read this but not willing to pay big bucks. Definitely checking out my local library! I’ll have to see if Knox County has it as that is the ONLY way I’m going to hold a copy of it at the price point they have.